Term 1 has flown by and has once again been filled with events and activities that enhance the programmes on offer at the School and give our students a range of broad experiences and opportunities. Although our last newsletter was only three weeks ago, we have had a number of important events since that time. These include the Year 10 – 12 River Cruise, the Japanese exchange and of course, our annual Swimming Carnival and Sync Swim competition. Staff and students are now ready for a well-deserved break over the holiday period. The School will be celebrating our ANZAC Day Service on Friday 29 April during our extended TAG period, which is 10.45 – 11.45am. Parents are welcome to attend this service. On Monday 2 May we will be celebrating our first Founder’s Day, known for our school as St George’s Day. The second Monday of Term Two is generally the closest Monday to St George’s birthday which was on the 23 April, and so this will become our traditional St George’s Day. The day will commence with a service in the Cathedral at 9am, followed by morning tea in the Cathedral grounds. A full programme of the day will be sent out at the start of Term Two. Parents are invited to join us at the Service and for refreshments afterwards. Communities are built around shared stories and traditions, and it is wonderful to be starting another great tradition at the School with our first St George’s day. We look forward to celebrating this great day in which we will honour our Founders and look to the future. Interim Reports will be mailed to all families early next week. These are an indication of how your child is coping with the academic requirements of their year, as well as an indication of their participation, attention and behaviour in class. There will be an opportunity to discuss these reports with the teachers at the Parent/Teacher interviews on Tuesday 17 May. The Year 7 and Year 9 students will write their NAPLAN tests in Week 3 of Term Two. The NAPLAN results gives the School valuable information regarding our teaching programmes and how our results compare with other schools. However, the NAPLAN tests are never the primary focus of our teaching. We believe that good teaching and sound pedagogy throughout each year level will reflect in our test results and it is our policy not to ‘teach to the test’ for NAPLAN. Parents can assist in minimising stress for the students by adopting a sensible attitude towards the tests and not placing too much relevance on them. They are a snapshot of your child’s achievement on a single test on one day and do not necessarily reflect potential or ability. The real value in NAPLAN testing is for us as a school, rather than at the individual child level. I wish all families a restful holiday period and look forward to seeing you all at the start of Term Two. 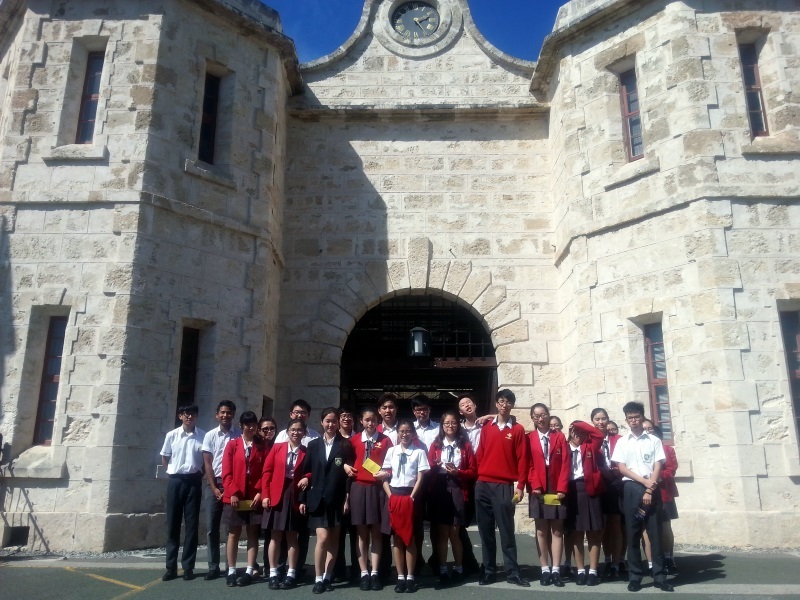 On 17 March, we went to Fremantle Prison with Ms Ong and Mr Ramirez. We boarded the School bus and left the School on time at 12:15pm. We were excited because most of us had never been to a prison before - it would be like a new world for us. As the bus climbed the up the hill, we saw the high prison walls. Curiosity turned into slight anxiety. I can not imagine how people could live in such a daunting looking place. With the bright sunshine on our backs, we walked into Fremantle Prison and were introduced to our friendly tour guide, Moira. After a general introduction, we learnt that Fremantle Prison is one of the largest surviving convict prisons in the world today. I was surprised that it was only decommissioned in 1991. We were taken into the main cell block where the layout was the same as every prison I have seen on TV, but something was different. I couldn’t tell what the was difference until the tour guide told us that most of the materials used for the prison were from ships - the doors, handrails, even the beds were all taken from the ships as there were no raw materials or appropriate tools available in the colony in the early days. It is like standing inside a huge ship when you are in the corridor of the cell block. The tour guide then showed us what the cells looked like during different periods of time. From a hammock to a double-decker bed and the rough walls to painted walls, we saw first-hand the changes that the prison went through. We also learnt how the prison cared for the convicts. After that, the tour guide took us to two chapels in the prison—the Anglican and Catholic chapels. It amazed us that two chapels existed in a prison. It was such an enjoyable and educational trip. We left the place with a better understanding of how the convicts lived and the conditions they had to endure. With our stimulating new schooling environment comes opportunities to access new and exciting facilities for our Physical Education (PE) classes and our major sporting events. 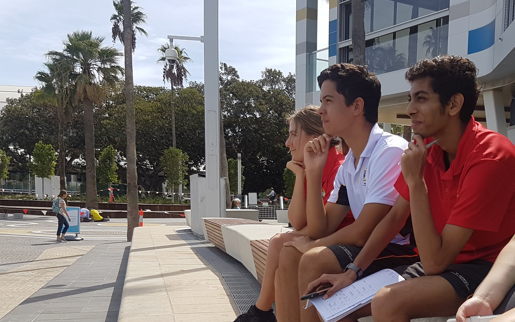 For the first half of this term, our highlight was the ability to walk down to our beautiful Swan River to row for five weeks with the West Australian Rowing Club. The second half of the term we caught buses, which are free within the cities limits, up to Royal Kings Park Tennis Club. Along with all the other benefits, access to sport coaches at these facilities further enhances student learning opportunities. A new facility was no exception for our first carnival of the year! Bold Park Aquatic Centre in Floreat is a magnificently refurbished facility which reopened in December 2015. 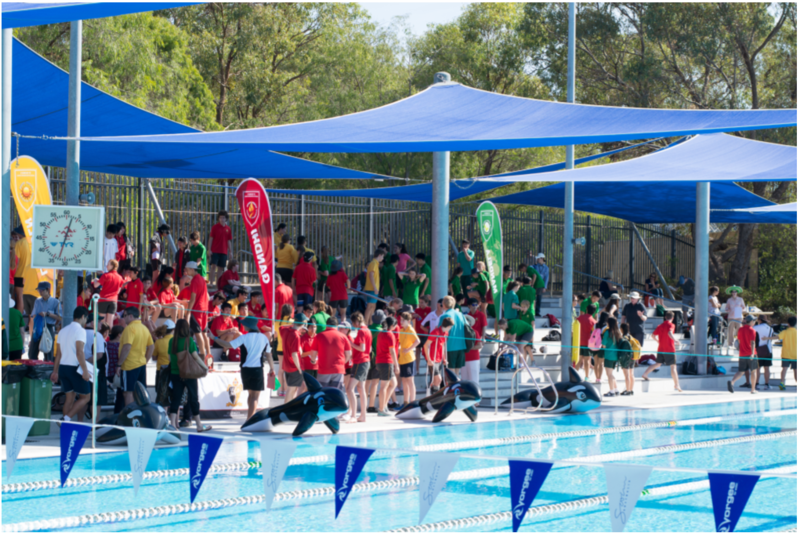 We were able to utilise this facility for our inaugural Inter-House Swimming Carnival and our legendary Sync Swim event. If you have not done so already, I encourage you to come along and see the Sync Swim event in future. It really is a spectacle. Everyone at the Aquatic Centre stopped to watch our perfectly timed Houses perform intricate dance movements and various group formations in the water. Students have been practicing the routines that House Captains and Co-ordinators choreographed all term. The routines are fun, interactive and rely on all members of the House to co-ordinate and work together as a team. It was pleasing to have a large group of students regularly attending early morning swimming training sessions at Mercedes College swimming pool. 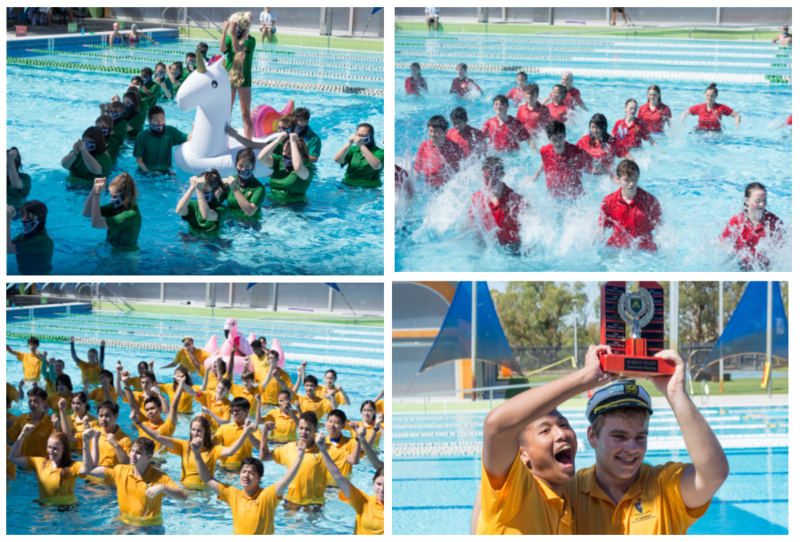 Twice a week students came to train and prepared themselves for both the School Sport WA (SSWA) Inter-School Swimming Carnival and also the inaugural St George’s Inter-House Swimming Carnival. 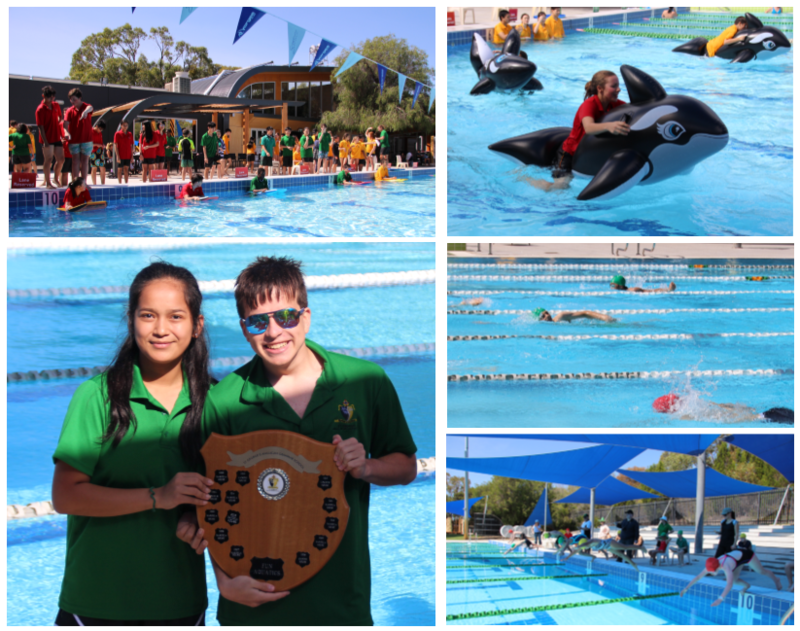 The Carnival was very well represented with swimmers and competitors from all Houses in all year groups. To encourage maximum participation, we enjoyed an afternoon of tabloid type events where TAGs rotated around various pool and land based activities. Congratulations to Lincoln who was awarded the House Spirit Shield at the end of these events. Please see the Inaugural School Swimming Record Holders here. Students are encouraged to start training for the Inter-House Cross Country Carnival, which is approaching quickly in the School calendar. This event takes place on Tuesday 3 May and will take place on the city’s foreshore. Students who perform well on the day will be selected to represent the School in the SSWA Inter-School Cross Country Carnival at McGillivray Reserve on Friday 20 May. Happy holidays everyone, I wish you a fun, safe and active time! This March, we entered six teams into the Have Sum Fun competitions: two Senior (Years 11 and 12), two Intermediate (Years 9 and 10) and two Junior (Years 7 and 8) teams. Our Senior Blue team performed best and were just three points from a third placing. However, all teams performed creditably and set the standard for ‘having sum fun’. Our students continually bring credit to the school in the way they present and carry themselves at these nights; we are very proud of them. Our thanks go to the students listed here who willingly gave up their Friday evening. love it when our staff are proactive and secure such excellent opportunities! Musical Futures Champion Teacher. 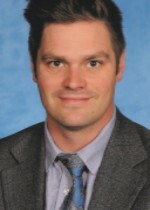 This is a fine acknowledgement of the excellent work that Michael does, both within and out of the School community. Read more about Michael here. The inaugural Philosophy classes started this year with Year 9 and 10 students. Students discussed what it means to live a happy life and looked asked the timeless One Direction question, “What makes you beautiful?” Besides learning in class what philosophers such as Socrates, Marcus Aurelius and Nietzsche had to say on these topics, students also had the chance to philosophise within the real world setting of the Perth CBD. 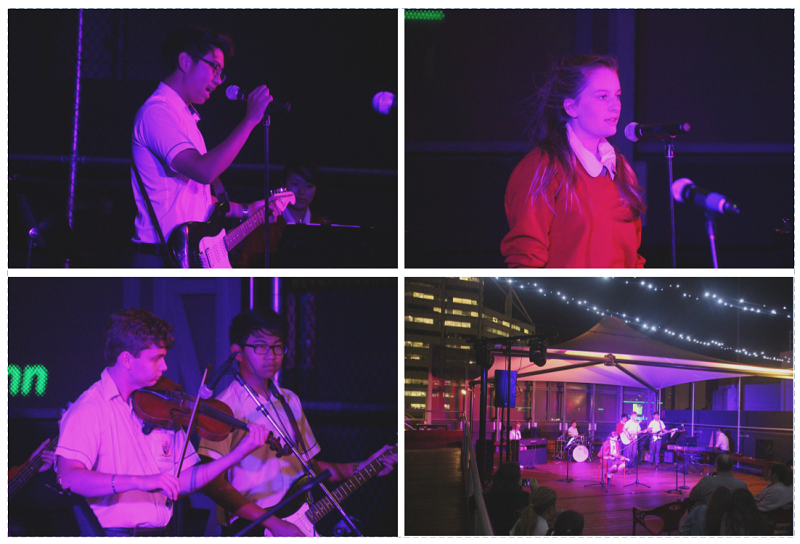 Our second ‘On The Roof’ concert was held this term… on the roof. We didn’t quite get blown away by the wind (although almost), but some great performances did blow us away, including some original student compositions, solos, duos and bands. Congratulations to all our performers on an excellent night. Our thanks to Trevor Davy and the Events Crew for their help setting up, and the staff that assisted on the night. Without the help of these people, the night could not have gone ahead. Year 10 Music has just finished recording and videoing Coldplay’s ‘Viva la Vida’ as part of a YouTube Orchestra project with some other schools on the East Coast and in the UK. We look forward to sharing the final cut with you. Why would you? For starters, there is a large, well-established and growing body of research on the benefits (academic, social and health) associated with learning and playing music, but most importantly because it’s fun and it’s creative! Yamaha has put together a video from a parent’s point of view with all the reasons to learn an instrument. Watch it here. Enrolments for instrumental lessons are now open for next term. Enrolment forms can be downloaded from the school website. Students already enrolled in the instrumental programme do not need to re-enroll as enrolments are ongoing. The benefits of learning to play music as a child can last for decades, even if someone hasn’t picked up an instrument for a long time. Good musical timing is strongly correlated with reading skills and general mental acuity. Musical training has been shown to accelerate cortical organisation in attention skill, anxiety management and emotional control. These brain changes can accompany us well into old age. Find out more here. 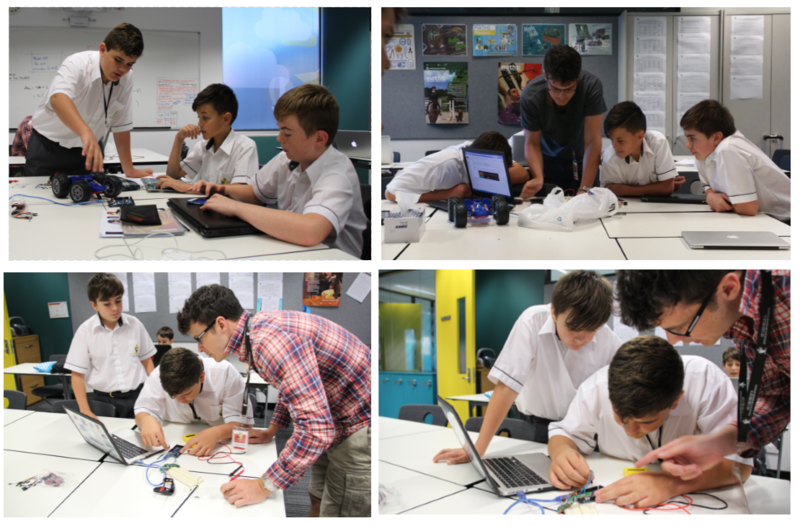 The St George’s Coding Club began this year and is made up of very enthusiastic students who are exploring a combination of coding and robotic skills to remotely build moving objects. They are also developing skills to build games, and some are learning a computing language (Java). The Coding Club is not curriculum based, but a place where enthusiasts can develop passions and interests in the IT area. The club is happy to welcome any student who is interested. We have enlisted Michael Holmes, who has just completed his Engineering Degree at Sydney University in Space and Metatronic Engineering, to be the expert guide for the students. You can only imagine the coding skills that Mike has in his repertoire. He has already been working with a Drone Company coding the drone’s movements and has also developed new multi 3-D camera technology that has not been used before. With all of the above, the sky is the limit for the St George’s students’ imaginations, and I look forward to reporting on some of our finished products in the future. As part of the Visual Art program at St George’s Anglican Grammar School this term, the Year 11 and 12 students were invited to participate in a special exhibition of work to accompany the Stations of the Cross Exhibition at Wesley Church. As part of this program renowned Perth artist, Dr. Donna Franklin, together with the exhibition curator, Claire Bushby, visited the Art department to give students an insight into the work involved with the show. Students witnessed how a professional artist approaches such a commission and the role of the curator in managing an exhibition of work. After an informative presentation viewing Dr. Franklin’s work in progress, students were able to interview her for their case study task. After this both curator and artist held a discussion and consulted students in relation to their own work for the exhibition. It was a most valuable learning experience that enhanced the students' understanding of the entire process of art making and exhibiting. 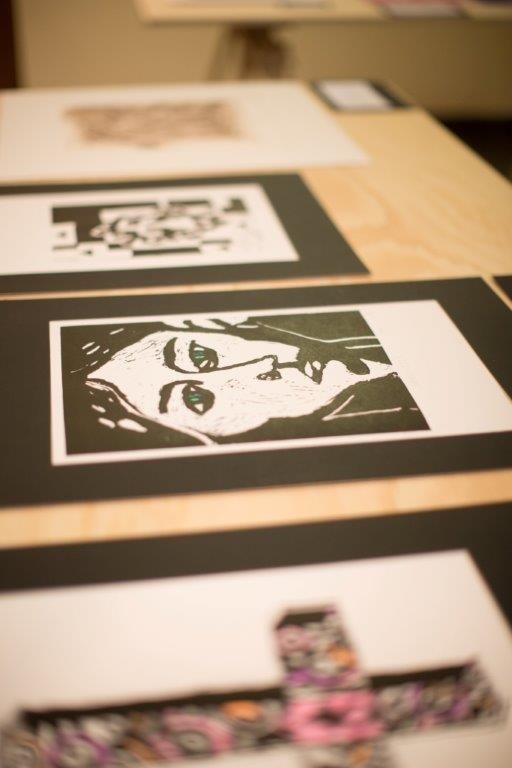 The students’ prints were on display during March at Wesley Church, William Street, Perth. What a wonderful opportunity for our students to display their work alongside professional artists! On Friday 18 March 2016, Lincoln House hosted its annual charity day. The day gives the students an opportunity to take a break from the regular routines of the classroom, have a lot of fun and raise money for a nominated charity. 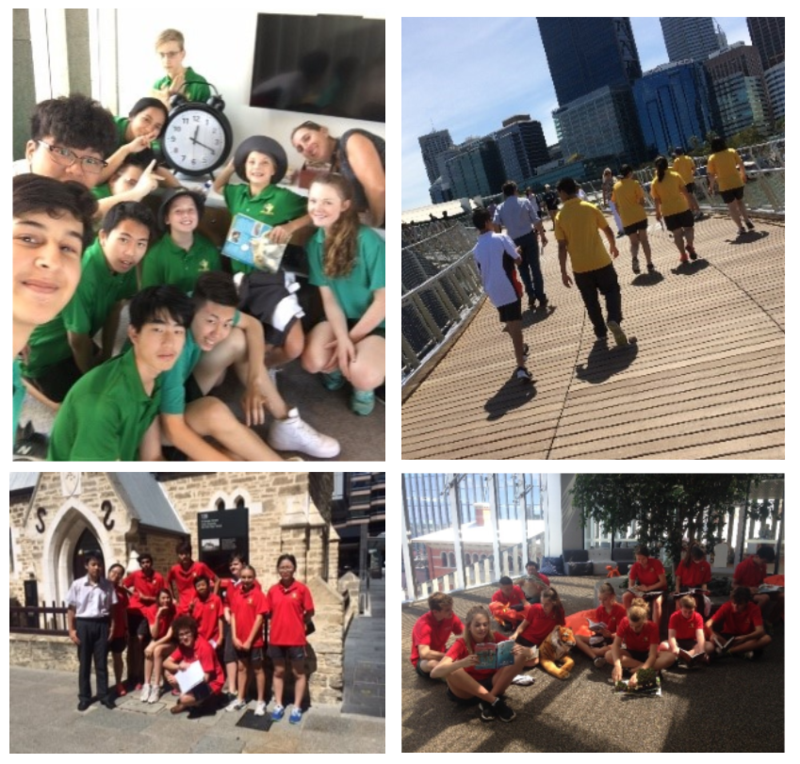 This year Lincoln House held a Scavenger Hunt throughout the Perth CBD. The students raised money in their TAGs to enter the hunt and then worked in TAG groups with their TAG teacher to find their way around the city and complete challenges as they went. Lincoln House Year 12 students were on stand-by around the CBD to help groups who were lost and to sell clues or answers. The teams had to find items such as a purple bike, Star Wars pictures, black swans and art work of kangaroos. All evidence was recorded as a photo with TAG members present. The students raised $766 on the day which is an outstanding effort. The money raised will be donated to Anglicare’s Street Connect, a charitable organisation that raises money to help the homeless of Perth. The feedback from the day was that both staff and students enjoyed working in teams to solve problems and getting to know each other better. I have already been asked where the Scavenger Hunt will take place next year, so it would seem that this may become an annual event for the School! 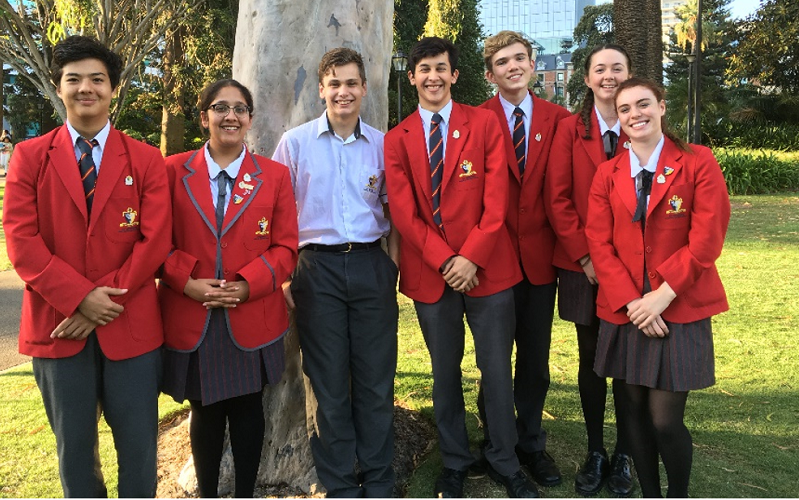 On Wednesday 16 March 2016, a team from St George’s Anglican Grammar School competed in the Mock Trial competition. ”A mock trial is a simulated court case in which teams contest a fictitious Western Australia (WA) legal matter presented in the WA court system. The cases are presented by two teams – a prosecution/ plaintiff team and a defence team – made up of students playing the roles of barristers, solicitors, witnesses and court officials” (The Law Society of Western Australia). There are 170 teams in the competition and it is open to students from Years 10 to 12. The trials are held at the Supreme Court of Western Australia. Our students competed against a team from Corpus Christi College. We were the defendants and the case we were defending was a charge of dangerous driving causing grievous bodily harm. The students fought the case well, but unfortunately the judge ruled in favour of the prosecution and our client was found guilty. More importantly, however, was that the strong performance of our team on the night meant that we scored more points than our opponents and won the round. 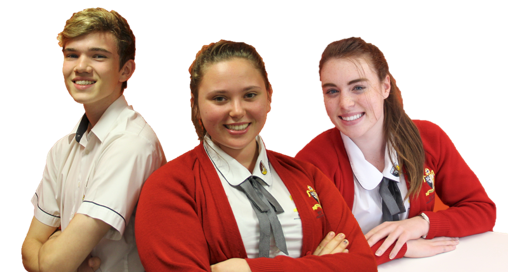 We are very pleased to announce that three of our Year 11 students, Jacinta Scott, Emily Lennon and Luke Thomas, have been selected to attend the Amanda Young Foundation Young Leaders Camp in April. They were three of a strong group of Year 11s who applied to attend the Camp. Each of the students in the group is to be commended for applying and taking the opportunity to explore their options in leadership. Read more here. 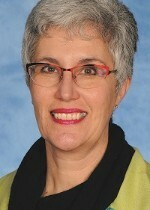 Anglicare WA is the Anglican Church’s not-for-profit community service organisation. They support people, families and their communities to cope with the challenges of life by building their resilience and capacity. Anglicare WA has services in the areas of relationships, finances, housing, youth and community, assisting over 32,000 West Australians every year from more than 48 locations around the state. Anglicare works to help move people from surviving to thriving. The Anglicare School Ambassadors program connects students from various Anglican schools across WA with the work of Anglicare. The program raises awareness of community need, social justice, promotes service knowledge and raises funds for Anglicare’s Street Connect Program. Street Connect is a mobile outreach support program, assisting, supporting and educating 15 – 25 year old homeless and street-present young people in the Perth Inner City Area. Street Connect provides a safe place for all young people; someone to listen; crisis intervention; food, water and health supplies; information, support, referral and advocacy based services; links to other visiting services and programs and fun recreational activities.